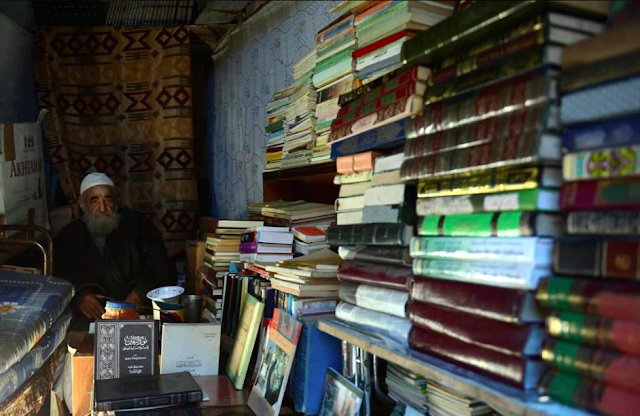 I don't know much about this man except that he is a bookseller. 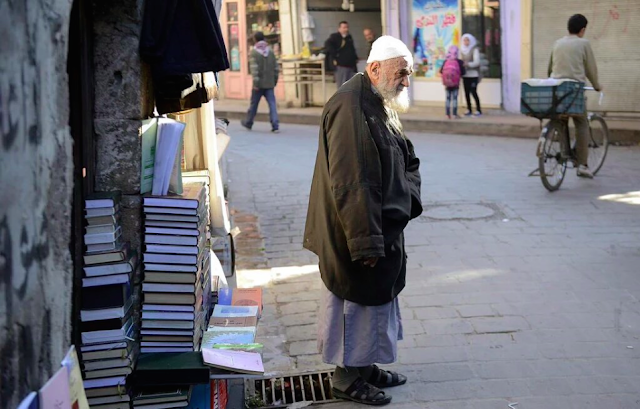 I will probably never meet him but this elderly Syrian man gave me the hope and inspiration I needed to be resilient. I came across his photos via Mustafa Sultan's Twitter account a few days ago. 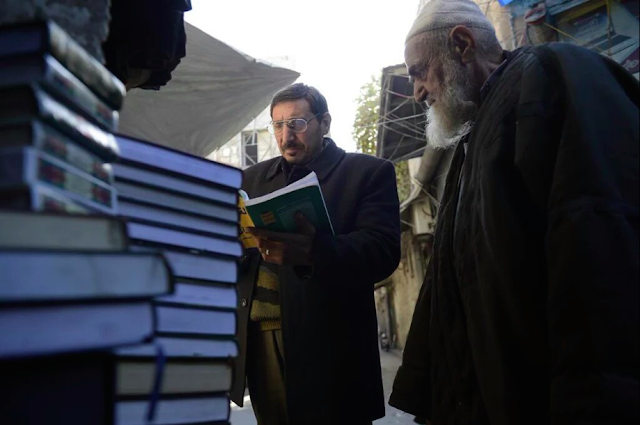 أقدم بائع كتب في حلب يستمر في عملها بعد قصف منزله ومكتبته..
"Aleppo's oldest bookseller continues to work after the bombing of his house and library." These photos reminded me of why I am passionate about education, knowledge and the field of Communication and Media Studies, but most of all, people. Yes, social media and citizen journalism can be overwhelming because as conscious media consumers we have to sift through an abundant amount of stories everyday. 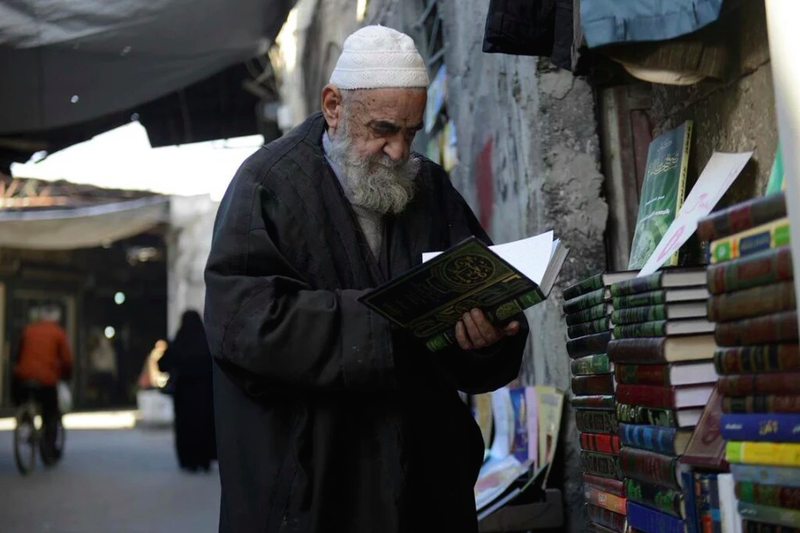 But it's important to get these stories out in the world, particularly stories that don't receive as much attention by 'Western' mainstream media or stories that are not covered with an emphasis on nuance. What is also important to me are stories that will impact the heart in order to create or restore conscientiousness, justice, self-awareness, compassion and sincerity in ourselves and our society. Please browse through Mustafa Sultan's tweets to get a glimpse of life in Syria today. Such a persevere old man.. Hopefully everything is ok with him..